Lahore, the capital of Punjab province is one of the Pakistan’s most historical and cultural cities. It is a major center of education, business, technology and entertainment. With a population of 10,052,000, the city has dense traffic. Though metro has solved a lot of transportation issues, we still suggest you to gear up for a cheap rent a car Lahore agency to move through the city in a convenient way. Instead of spending countless hours searching for the best rent a car in Lahore agency, you can browse through our rent car Lahore service providers. From the rent a car Lahore without driver to with driver services, we have listed all the major Lahore rent a car companies. If you are new in the rent a car Lahore Pakistan industry, do not worry. You can register with our car rental in Lahore business directory to get immediate leads. 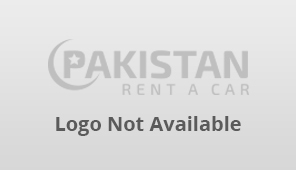 We are already featuring hundreds of Lahore rent a car agencies on our website and you can be one of them. So register now to grow your business today!